For more than 60,000 years, people have worshiped deities of the sun, sky, and sea, as well as creator gods, relying on the guidance of faith in the midst of the mysterious world around them. Dictionary of Gods and Goddesses, Second Edition provides access to more than 2,500 of these religious figures, from ancient Sumerian gods through the modern Haitian deities. Providing a plethora of information from cultures as diverse as the Aztecs, Celts, and Japanese, this dictionary discusses lesser-known divinities as well as the contemporary gods of the major monotheistic religionsAllah, God, and Yahweh, among others. New features, including cross-references and a comprehensive index, make this revised edition more accessible than ever. 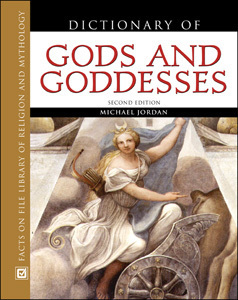 Dictionary of Gods and Goddesses, Second Edition is an indispensable resource perfect for general readers interested in mythology and religion, as well as scholars in religious studies, anthropology, history, and archaeology. "Coverage is impressive...This volume is a solid consolidation of information and is recommended for high-school, public, and academic libraries." "...a good resource for the middle and high school library as well as the general community library." "...impressive...Boast[s] numerous cross references and a truly meticulous index...A good starting point for general readers."